Nearly 2,000 years ago, Christ came down from heaven's glory to shed His precious blood for a world for He knew no sin, but became sin for us (see 2 Corinthians 5:21). Through this substitutionary death- dying for you and me- all who receive this Christ can have the past, present and future stains of sin immediately forgiven, forgotten, obliterated, and liquidated, because the blood of Jesus Christ [God's] Son cleanseth us from *ALL* sin (1John 1:7, emphasis mine). As soon as the washing of regeneration (Titus 3:5) takes place, God cries, their sins and their iniquities will I remember no more (Hebrews 8:12). The result of being so completely washed in the blood is there is therefore now no condemnation to them which are in Christ Jesus (Romans 8:1). This is true because Christ was already judged in the sinner's place. Oh, what love, what compassion. Is it any wonder that Paul declares in Hebrews 2:3, How Shall we escape, if we neglect so great salvation. * The second judgement is of the believer's service. * This investigative probe into a believer's lifetime of works will form the basis of our study in this booklet. We will discuss this Bema Seat Judgement in the next few pages. During the Tribulation hour, and enemy comes against Israel from the North (see Ezekiel 38 and 39). Then the armies of the world also converge on the Middle East (see Zechariah 14:2), and this period of bloody devastation becomes the time of Jacob's trouble (Jeremiah 30:7). Matthew 25 pictures the return of Christ to this earth. The text correlates to and is synonymous with Revelation 19:11-16 when Christ returns to the earth as KING OF KINGS AND LORD OF LORDS. Before He establishes his millennial kingdom upon earth for 1,000 years (See Revelation 20:4), He purges the earth of its rebels (see Matthew 25:31-46). The righteous are then allowed to enter God's earthly kingdom utopia for 1,000 years, and eventually heaven, eternally. This transition is observed in 1 Corinthians 15:24-25 which states, Then cometh the end, when he shall have delivered up the kingdom to God, even the Father; when he shall have put down all rule and all authority and power. For he must reign, till he hath put all enemies under his feet. Revelation 20:11-15 pictures this solemn universal trial. John says, And I saw a great white throne, and him that sat on it, from whose face the earth and the heaven fled away; and there was found no place for them. And I saw the dead, small and great, stand before God; and the books were opened: and another book was opened, which is the book of life: and the dead were judged out of those things which were written in the books, according to their works. And the sea gave up the dead which were in it; and death and hell delivered up the dead which were in them: and they were judged every man according to their works. And death and hell were cast into the lake of fire. This is the second death. 15 And whosoever was not found written in the book of life was cast into the lake of fire. Friends, the hour is coming when every unsaved, unregenerated sinner must meet a holy God for a detailed review of his life upon planet earth. When God's books are opened, every offender's tongue shall be silenced. There will be no hope then, but there is now! Why? Because Christ died for our sin (see 1 Corinthians 15:3). This means that the guiltiest of mortals can immediately be absolved by trusting in the merits of the shed blood of Jesus. Don't procrastinate-do it today! then you, too, will know the blessedness of John 3:18 which declares, He that believing on [christ] is not condemned because the believing are passed from death unto life (John 5:24). Thus far, we have witnessed the fact that there are five different judgments. Men who do not rightly divide the word of truth (see 2 Timothy 2:15) often confuse the issues by conglomerately linking the various texts concerning judgement into one mass of hodgepodge. We will not be guilty of this practice as we go back to judgement number two and study the Bema Seat investigation. Romans 14:10 states, We shall all stand before the judgment seat of Christ. Second Corinthians 5:10 adds: For we must all appear before the judgment seat of Christ; that every one may receive the things done in his body, according to that he hath done, whether it be good or bad. Millions of God's children, internationally, think that they can live nominal christian lives and still be fully rewarded. They think that they can play "fast and loose" with the world without suffering loss. This is but wishful thinking! The day is coming when every blood bought believer must stand before a holy God for a scrutinizing investigation. This becomes abundantly clear when one traces the English term *judgement* seat to its Greek origin. There the term is "bema seat." When Paul used the terminology in the first century, every educated mind immediately knew the severity of the warning because their thinking took them to the runner's track in Athens, Greece. It, like modern day sports stadiums, contained thousands of seats. However, there was one seat differing from the rest in that it was uplifted and elevated. The judge of the contest, who sat there, had no obstruction to mar his view of the racing participants. He could see every movement clearly. Does not this picture of "the God of Holiness" elevated upon His throne watching the Christian's race of life? He sees where we go, hears what we say, and watches our every move. Yes, for the eyes of the Lord run to and fro throughout the whole earth (2 Corinthians 16:9). God cries, mine eyes are upon all their ways (Jeremiah 16:17), and because of it all things are naked and opened unto the eyes of him with whom we have to do (Hebrews 4:13). God is watching His people and keeping records for the day when we must all appear before the judgement seat of Christ; that every one may receive the things done in his body, whether it be good or bad (2 Corinthians 5:10). Therefore, it behooves each one of us to place Christ first in our daily walk and talk. We cannot live for the flesh and self and hear Christ say in that day, "Well done, thou good and faithful servant. " There must be a battle fought and won. There must be scars traded for crowns. Rewards must be earned. Phillipians 3:1 Paul who [bore] in [his] body the marks [scars] of the Lord Jesus (Galatians 6:17) was [pressing] toward the mark for the prize of the high calling of God in Christ Jesus (Phillipians 3:14). Salvation was his as a gift but only works of hardship, suffering, and perhaps death could bring him the prize or crown to lay at Jesus' feet (see revelation 4:10,11). It is also true for you, dear Christian. You, too, must know the fellowship of his sufferings to receive the prize of the high calling of God in Christ Jesus. (see Phill0,14). But wait! There is more. We are just beginning to explore the depths of this judgment. As we dive further into this subject, we discover that God also will investigate the motives behind one's works. In other words, the question will be: "Why did you hold the office of deacon, elder, or Sunday school teacher? Why did you sing or perform solos? What was your motive in being a counselor, and usher, a bus driver? What purpose was there in desiring to be a full-time Christian worker? Was it for power, prestige, or pride? Was it to be noticed, to be lauded, and applauded?" Christian, will you answer this question in your own heart this very moment? Why are you doing what you are doing when you are doing it? What is your motive? If there is an iota of self-glorification behind any act of service, the rewards will be sparse-if any! Listen to the Saviour in Matthew 6:1-6: Take heed that ye do not your alms before men, to be seen of them: otherwise ye have no reward of your Father which is in heaven. Therefore when thou doest thine alms, do not sound a trumpet before thee, as the hypocrites do in the synagogues and in the streets, that they may have glory of men. Verily I say unto you, They have their reward. But when thou doest alms, let not thy left hand know what thy right hand doeth: That thine alms may be in secret: and thy Father which seeth in secret himself shall reward thee openly. Christ continues in verses Matthew 6:16- Moreover when ye fast, be not, as the hypocrites, of a sad countenance: for they disfigure their faces, that they may appear unto men to fast. Verily I say unto you, They have their reward. But thou, when thou fastest, anoint thine head, and wash thy face; That thou appear not unto men to fast, but unto thy Father which is in secret: and thy Father, which seeth in secret, shall reward thee openly. There is no doubt as to the meaning of Christ's startling words. He declares that there are two places to be rewarded-here upon earth as one seeks the praise of men, or later in heaven when the Father who saw the works performed in secret, without notoriety, rewards those who did the job simply out of love for Him. When Jesus returns to call His people unto himself in the twinkling of an eye and the judgment begins, what will your motives have been in the Christian race? The motives issue will then be made manifest. First Corinthians 4:5 states, Therefore judge nothing before the time, until the Lord come, who both will bring to light the hidden things of darkness, and will make manifest the counsels [or motives] of the hearts: This teaching is also propounded in 1 Corinthians 3:11-15: For other foundation can no man lay than that is laid, which is Jesus Christ. Now if any man build upon this foundation gold, silver, precious stones, wood, hay, stubble; Every man's work shall be made manifest: for the day shall declare it, because it shall be revealed by fire; and the fire shall try every man's work of what sort it is. If any man's work abide which he hath built thereupon, he shall receive a reward. If any man's work shall be burned, he shall suffer loss: but he himself shall be saved; yet so as by fire. Again, there is no doubt about the explicit teaching within this portion of scripture. It states, The fire shall try every man's work of what SORT it is (emphasis mine). Now notice some interesting observations concerning this judgment. *All of God's people present some form of "works" to Christ at the Bema Seat. * The fire then tests every man's work. Every man? Every man. *Though all worked to some degree, a difference in quantity and quality is observed. * Some works are precious and good-the gold, the silver, and the precious stones. While others- the wood, the hay, and the stubble-are bad. *The difference is tested by the purging of fire. * The good works survive while the wood, hay, and stubble is reduced to a mass of incinerated rubble. Christian, will what you are presently doing in the service of God abide the fires of Christ's Bema Seat? Will your works endure the test? Will your final results be reward or rubble? Stop and think! Why do you do what you do when you do it? What is your motive as you serve? *The disintegrated ashes bring sorrow and loss. * Yes, [they themselves] shall be saved; yet so as by fire (1 Corinthians 3:15). Notice that the lukewarm, the indifferent, and the careless shall be present. They do not miss heaven because of their faults! Instead, they shall be saved as by fire.- by the skin of their teeth! They made heaven only to sorrow over waywardness for a millennium of time as we shall presently see. Their loss was not of salvation, but of rewards. They suffered loss (rewards), but they themselves were saved as by fire. It is obvious then that the wayward lose out with God. Yet the loss is not of eternal life but of rewards. Eternal life is freely bestowed upon all who believe as a gift apart from works (see Romans 6:23), and cannot be forfeited, but crowns can be earned and lost, accumulated and liquidated. *Quality works, consisting of gold, silver, and precious stones, performed for the glory of God to win the souls of men, when tested and found genuine, will earn crowns for the faithful for all eternity. * These crowns will then be placed at the feet of Christ as an eternal memorial of one's love for a lifetime of service. The scene is portrayed in Revelation 4:10-11. The twenty four elders pictured in the text are the representatives of all of God's people in both testaments- the twelve patriarchs of Israel same twenty four stalwarts of both eras have their names combined upon the fates and foundations of the future Holy City in revelation 21:12-14. So there is no doubt as to who they are. They represent all the faithful blood-bought people of God down through the ages. The thrilling scene is described as follows: The four and twenty elders fall down before him that sat on the throne, and worship him that liveth for ever and ever, and cast their crowns before the throne, saying, 11 Thou art worthy, O Lord, to receive glory and honour and power: for thou hast created all things, and for thy pleasure they are and were created. Christian, do you long to lay a crown at the feet of the Saviour on the Coronation Day? Or will you be off in the background ashamed (see 1 John 2:28), having experienced a humiliating entranced into the presence of God (see 2 Peter 1:11)? It need not be so. A change can be made today. Confession of failure is longingly desired by your Heavenly Father (see 1John 1:9). Rededication and redirection can be your experience this very moment. Utter that prayer of confession today and make a new start immediately so that you, too, may hear from the precious lips of Jesus, "Well done, thou good and faithful servant." Someday, perhaps soon, every Christian must meet God for an investigative judgment of his entire life. This moment shall be a time of jubilant victory for some. Jesus said, He that receiveth a prophet in the name of a prophet shall receive a prophet's reward; and he that receiveth a righteous man in the name of a righteous man shall receive a righteous man's reward. (Matthew 10:41). Paul adds, If any man's work abide which he hath built thereupon, he shall receive a reward. (1 Corinthians 3:14). On the other hand, it shall be a time of weeping for others. Paul, dealing with this hour of judgment, states in 2 Corinthians 5:11, Knowing therefore the terror of the Lord, we persuade men; Terror? Yes, terror! How often Christians hilariously shout, "Praise the Lord, Jesus is coming soon!" Though this will undoubtedly be the most joyous event of the ages for some, it will be a time of intense and immense sorrow for others. First John 2:28 declares And now, little children, abide in him; that, when he shall appear, we may have confidence, and not be ASHAMED before him at his coming (emphasis mine). Notice carefully that when Christ returns, all believers are summoned into His presence-the confident and the ashamed. The confident appear before the tribunal with "good works" whereas the ashamed have naught but "bad works" (see 2 Corinthians 5:10). This is exceedingly important to understand because multitudes today think that one sin can keep a child of God out of heaven. The text plainly states that the "ashamed" meet Christ at His appearing. At the sound of the trumpet, when the dead in Christ rise first and living believers join the dead to meet Christ in the clouds (see 1 Thessalonians 4:16), the "ashamed" also enter heaven, but the abundant entrance is reserved for those who earned it upon earth (see 2 Peter 1:11). Now, do not argue with me. If English means anything-and it does- this text *proves* that the wayward go home to meet Christ though ashamed. Since one can only bear shame for error and wrongdoing, then it is dogmatically clear that the wrongdoers meet Christ at His appearing or return. I grant you that they are embarrassed and lose all of their rewards, but they are nevertheless present at the roll call of the ages, though saved as by fire ( 1 Corinthians 3:15), by the "skin of their teeth," to use a modern day expression. What produces their embarrassment and humiliation as believers? Multitudes of God's people could do so much more for Christ if they would, but the flesh stands in the way. When they do serve, it is often with selfish motives. Their hue and cry is, "What will I get out of this? What is in it for me?" The result? Modern Christianity has become big business. Religious performers today charge exorbitant rates. Some receive $1,000 to $2,500 for a performance. What a judgment of terror awaits these mercenary "gospel entertainers." Though saved by fire, their works will dissolve into incinerated ashes. The wood, hay, and stubble will disintegrate because they had their reward. About face, Christian! Then again, there are those who have little or no time for spiritual exercises. They seldom read God's Holy Word, seldom attend God's house. Seldom give their tithes, and never win souls. This is sin! James 4:17 states, Therefore to him that knoweth to do good, and doeth it not, to him it is sin. These sins of omission-failing to do God's will- also produce remorse in that day. Friend, if I am describing you, it is not too late to change. As long as one has the breath of life, he can decide to do the will of God. Confess your sins, seek again your first love for Christ, rekindle the flames of devotion to the Lord Jesus immediately. Then use your opportunities to serve Him wisely. One who obeys God will not be sorry. The faithful will be rewarded a hundred fold at the Bema Seat. Scholars calculate that to be a 10,000 percent yield. No wonder Paul said in 2 Corinthians 9:6 He which soweth sparingly [meagerly] shall reap also sparingly; and he which soweth bountifully [abundantly] shall reap also bountifully. One cannot outgive God at 10,000 percent interest. Galatians 6:7, often quoted to the unsaved, but directed to Christians concerning giving, states, Be not deceived; God is not mocked [or fooled]: for whatsoever a man soweth, that shall he also reap. May I share a most heart-moving experience with you? When Rexella and I were in Hershey, Pennsylvania, a man sitting in a wheelchair asked that he might speak to us. As we reached the area where he sat, he began to weep, saying, "I and an invalid, as you can see. I have multiple sclerosis and osteo-arthritis. The pain is more that I can humanly bear. In fact, my pain-destroying medication costs me one hundred dollars per month. Nevertheless, I have made a decision after much prayer. I want to give you the hundred dollars and omit this month's medicine. I know my pain will be unbearable, but it is the least I can do for Christ who suffered so much for me. Take it and use it for His glory." Rexella and I, both in tears, replied, "We cannot accept this money for your medicine." He again wept audibly, saying, "Would you deprive me of a blessing? 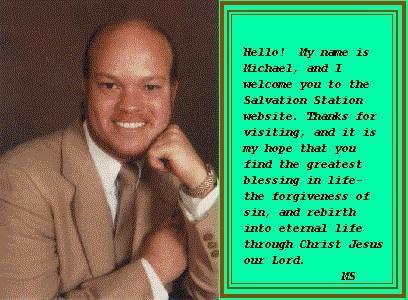 Take it for the glory of God and the salvation of souls." How many thousands who have a superabundance of material things-stocks, bonds, bank accounts, and posessions- do nothing but tip God occasionally. Do you think that it won't make a difference at the time of rewards? Do you honestly feel that ir will be the same for all? Be not deceived; God is not mocked: for whatsoever a man soweth that shall he also reap (Galatians 6:7). We are all going home soon-either confident or ashamed. Will it be a time of victory or anguish, triumph or tears, for you? It is not too late to make a new start. For God hath not called us unto uncleanness, but unto holiness (1Thessalonians 4:7). Who hath saved us, and called us with an holy calling (2 Timothy 1:9) Follow peace with all men, and HOLINESS (Hebrews 12:14, emphasis mine). Be ye holy; for I am holy (1 Peter 1:16). This means that we are not to fashion ourselves according to the former lusts (1 Peter 1:14), and that we are to abstain from fleshly lusts (1 Peter 2:11), and that we are to put on Christ and not make any provision for the flesh, to fulfill the lusts thereof (Romans 13:14). How different from the lowly standards held by many carnal church members who constantly play "musical chairs" with the pagans and God-haters of this world, visit its clubs, casinos, and theaters, all under the guise of being curious. They, like Lot who desired Sodom, want to spend time in Las Vegas and get away from it all. But the getting and vulgarity matters not as the flesh is on a spree. Are they saved? God alone really knows! One thing is certain-if they are Christ's, their double standards will be investigated, For we must all appear before the judgment seat of Christ; that every one may receive the things done in his body, according to that he hath done, whether it be GOOD or BAD (2 Corinthians 5:10 emphasis mine). Oh, what weeping, what wailing, what travail, what heartache, and heartbreak as they meet Jesus face to face. Their entrance into God's presence will not be abundant (2 Peter 1:11), They shall be tremendously ashamed (1 John 2:28). The terror of the Lord will be meted out in judgment (see 2 Corinthians 3:15). No wonder the lukewarm are weeping. They blew it all. They suffered the loss of all things except salvation. *This loss extends beyond the loss of rewards for a meaningless life. * It includes losing, through foolish living, rewards previously earned through years of spiritual service. God has a system of addition and subtraction, pluses and minuses, on His books. Therefore, one's accumulation of "good works" can be wiped out swiftly through disobedient living. You do not believe it? *Here is proof: Look to yourselves, that we lose not those things which we have wrought, but that we receive a full reward (2 John 1:8). God says, "Be careful how you live, where you go, how you serve, if you want a full reward." Again Hold that fast which thou hast, that no man take thy crown (Revelation 3:11). In simpler terminology, God says, "Hang on to your earned crown and do not let anyone entice you, mislead you, drag you down, or destroy the good works already accumulated or you will suffer loss." Paul, led by the Holy Spirit, also declares in 1 Corinthians 9:27 But I keep under my body, and bring it into subjection: lest that by any means, when I have preached to others, I myself should be a castaway [a reject for rewards]. He could not mean the loss of salvation by the term "castaway" because we have already seen that the "ashamed" are present at heaven's roll call through saved by fire. Instead, Paul is saying, "Look I am a red-blooded man with desires similar to others. However, I will not allow my flesh to control me. Instead, I constantly battle and batter my fleshly appetites into subjection. Yes, I keep my bodily appetites under control lest I lose every thing I have ever earned." Now, if this be true for Paul, it is equally true for all. In fact Paul's service record is unparalleled in the history of Christendom. No one suffered as he did except the Lord himself. Listen to the list of "good works" Paul accumulated in 2 corinthians 11:23-27... in labours more abundant, in stripes above measure, in prisons more frequent, in deaths oft. Of the Jews five times received I forty stripes save one. Thrice was I beaten with rods, once was I stoned, thrice I suffered shipwreck, a night and a day I have been in the deep; In journeyings often, in perils of waters, in perils of robbers, in perils by mine own countrymen, in perils by the heathen, in perils in the city, in perils in the wilderness, in perils in the sea, in perils among false brethren; In weariness and painfulness, in watchings often, in hunger and thirst, in fastings often, in cold and nakedness. Wow! What a servant of God-beaten, battered, stoned, crushed, robbed, persecuted, hated, and starved. Surely this portfolio of earned works would bring Paul heaven's greatest "Oscar." It would if he remained faithful. Remember, he said as quoted earlier, "If I did not keep my body under subjection, I myself would be a castaway, disapproved and rejected of heaven's 'Emmy Awards.' Therefore, I fight the good fight of faith- fight the world, the flesh, and the devil- so that my Saviour will day to me at that day, "Well done, though good and faithful servant." How about you Christian? If the judgment tool place within the next 24 hours, would you lose some or all of your rewards? Millions are going home ashamed, embarrassed, and red-faced. The result will be intermittent weeping for 1,007 years. This is proven by studying the chronological outline of the Book of Revelation. Let's look at it. Revelation 1:19 states, Write the things which thou hast seen, and the things which are, and the things which shall be hereafter; one immediately notices the three tenses of the English language-past, present, and future. "Write the things which thou hast seen"-past, chapter 1. "Write the things which are"-present, chapters 2 and 3, and "write the things which shall be"- future, chapters 4 through 22. We are presently awaiting the homegoing of the believers. This occurs in Revelation 4:1 with the words, Come up hither. The seven years of Tribulation follow in chapters six through 18. Christ returns to earth as King of Kings and Lord of lords (chapter 19:11-16). He rules the earth for 1,000 years (chapter 20:4-6), and judges the world after the thousand years (chapter 20:11-15). Then, finally and forever, God wipes all tears away from their eyes (see Revelation 21:4). Chronologically, this is after the Tribulation, after the Millennium. In other words, from the rapture call in Revelation 4:1 onward, there is intermittent and spasmodic crying for the next 1,007 years. Is your foolish episode with the world that important to you? Will it be worth it all when you see Jesus? Do not lose out on rewards eternally for a short fling presently! In dwelling further on the teaching of "tears" in God's presence, we discover that the weeping takes place simultaneously with the Tribulation hour. Two judgments are occurring at the same period of time. One is in heaven; the other upon earth. One is a judgment of believers regarding service; the other a judgment of Israel. One is called the Bema Seat Judgment; the other, the Tribulation hour. Both prove to be heartbreaking for the participants. Let's look at the Tribulation period for a few moments. This is the time of Jacob's trouble (see Jeremiah 30:7), and jacob represents Israel. Satan, the old devil, hates Israel. She was used of God as a channel for producing His only begotten Son on earth. Revelation 12:5 states, And she [Israel] brought forth a man child. Because of Israel's connection with Christ's birth, the nation has always been Satan's prime target of hatred. He has relentlessly persecuted her throughout the annals of history and increases his persecution during the Tribulation hour. His attack is most vicious when he realizes that the end of his power struggle for world supremacy over Jehovah God is about to cease. Therefore, Revelation 12:13 states, And when the dragon saw that he was cast unto the earth, he persecuted the woman which brought forth the man child. This is the world's bloodiest hour. Seven seals, seven trumpets, and seven vials are judgments unleashed upon planet earth. These produce murder, starvation, war militarism, earthquakes, hailfire,oceanic disruptions, cosmic catastrophes, pestilence, inflation, sores, infections, pain, pollution, darkness, and finally, ARMAGEDDON! The hour is so bleak, dreary, and hopeless that earth's inhabitants are crying to the mountains and rocks to fall on them (see Revelation 6:16). Earth's most agonizing hour will make men desire death over life. Simultaneously, the people of God are being examined at Christ's Judgment Seat. This, too, will be an unpleasant situation because the Holy Spirit speaks about the terror of the Lord in connection with the investigation of believer's works (2 Corinthians 5:11). I have no doubt that some believers will be so ashamed, so embarrassed, so humiliated and so frightened to face the fireworks (see 1 John 2:28), that they will want to exchange heaven for earth, the Judgment Seat exposure for the Tribulation woes. They would rather cry for the mountains to fall on them than to meet christ with a wasted life. Small wonder the songwriter said, "Must I go in empty-handed, my Redeemer thus to meet?" What sadness, yea, what vehement crying shall then ensue as rewards are lost forever. Christian, disobedience to the commands of Christ is not worth a millennium of asmodic weeping. Chapter 3. At Last, the Treasure! To this point we have mentioned rewards repeatedly. We have discussed the victor's triumph and the backslider's tears. We have observed that some will rejoice while others will remorsefully weep. But what are the crowns and why are thy presented? This meritorious award is given to all who longingly and desiringly watch for Christ's return. Paul declares in 2 Timothy 4:8 Henceforth there is laid up for me a crown of righteousness, which the Lord, the righteous judge, shall give me at that day: and not to me only, but unto all them also that love his appearing. Imagine, God gives a special crown to believers who fix their eyes and hearts heavenward in watchfulness of Christ's return. This is reasonable when one realizes that "expectancy" and "purity" are closely related. One cannot longingly look for Christ return and practice abominable sins. The two never coexist in a rational mind. That is why 1 John 3:2,3 states Beloved, now are we the sons of God, and it doth not yet appear what we shall be: but we know that, when he shall appear, we shall be like him; for we shall see him as he is. And every man that hath this hope [of His appearing] in him purifieth himself, even as he is pure. Adulterers, fornicators, homosexuals, drunkards, drug addicts, extortioners, swindlers, liars, and worldlings are not anxiously awaiting Christ's return. Neither are carnal believers who neglect the Bible, prayer, God's house, soulwinning, and personal holiness. No, those who look daily and expectantly are not among the worldlngs, who sit in bars, theaters, rock concerts, gambling casinos, and other pagan dens. They do not want to be found there when Jesus comes. Their desire-that blessed hope, and the glorious appearing of the great God and our Saviour Jesus Christ (Titus 2:13)-makes them consistently live for His return. They want to be commended, congradulated, and crowned in their fight to the finish. They do not want a confrontation producing consternation and castigation at that day. They long to hear Jesus say, "Well done thou good and faithful servant." Because the Saviour's appearing is closely aligned with holiness of life, it is to be expected that the carnal rebel and refuse the teaching of prophecy. They cry, "Do not preach prophecy! It is but sensational and speculative nonsense anyway. Instead, tell us about Parbar westward, four at the causeway, and two at Parbar (1 Chronicles 26:18). This does not hit us where we live! One should expect this from the indifferent, the lethargic, the worldly, and the backslidden. They definitely do not want to hear about a time when they must meet Christ with wasted lives because his appearing means the disintegration and dissolution of the selfish, substandard works. They know that they are going to be among the "ashamed" (see 1 John 2:28), and that they shall be saved as by fire (1 Corinthians 3:15). They hate to think of meeting Jesus empty handed and being "rejects" at the Judgment Seat. Small wonder they dislike this Bible doctrine. But, like it or not, it will happen! May I, therefore, plead with preachers, "Preach the message of Christ's return. Present the signs. Tell the people the moment is near. Beg them to keep their eyes fixed on heaven so that you and they will receive the "watcher's crown." Only those who "look," receive! The background for this award is found in 1 Corinthians 9:24-27. Paul says, Know ye not that they which run in a race run all, but one receiveth the prize? So run, that ye may obtain. And every man that striveth for the mastery is temperate in all things. Now they do it to obtain a corruptible crown; but we an incorruptible. I therefore so run, not as uncertainly; so fight I, not as one that beateth the air: But I keep under my body, and bring it into subjection: lest that by any means, when I have preached to others, I myself should be a castaway. Consider this tremendous portion of Scripture with me expositorily. The writer says in verse 24 that though there are numerous runners-and he undoubtedly has the athletic field of Athens, Greece in mind-yet, only one becomes the winner. The analogy is that though tens of thousands of believers have run and are in the race of Christian service, competing for "good works," it will be but a minority who receive the runner's crown. Hence, the admonition, "Run that you may obtain." Next, we observe the rules of the race. The Greek athletes were temperate in all things, subjecting their bodies to the most stringent health rules. They trained, they exercised, and they abstained from anything that would render them unfit for the bid day. Verse 25: And every man that striveth for the mastery [victory] is temperate [under self-control] in ALL things (emphasis mine). Is every habit under control in your life? There are those who say, "I don't think a little cigarette can keep me out of heaven." I agree. In fact, I think it may get you there sooner! However, it along with other uncontrolled bodily habits, will get you there "ashamed." It will help reduce your runner's crown into incinerated rubble (see 1 Corinthians 3:15). The crown is only for victors, for winners who have battered the cravings of the body into submission. This explains Paul's words in [1 Corinthians 9] verses 26,27: I therefore so run, not as uncertainly; so fight I, not as one that beateth the air: But I keep under my body, and bring it into subjection: lest that by any means, when I have preached to others, I myself should be a castaway [a reject for heaven's rewards, God's "Oscars"]. It is abundantly obvious, as sited numerously in this chapter, that the term "castaway" has nothing to do with salvation. This is evident because the "ashamed," saved-by-fire crowd, goes home at the Rapture to weep. No, the Greek word from which we get the English term castaway, means "to be disapproved" for crowns. Therefore, I again plead with the lukewarm to enthrone christ in the heart. Get your first love rekindled. Serve Him with all your might. Throw off every encumbrance for the flesh, including tobacco. Yes, let us lay aside every weight and the sin which doth so easily beset us [trip us], and let us r;un with patience the race that is set before us (Hebrews 12:1). The result? An incorruptible crown (see 1 Corinthians 9:25). Paul concludes with a final scene of the race by saying, " The Greek runners subjected their appetites to the strictest regimentation imaginable simply to win the race and receive ' corruptible crown,' a wreath of laurel leaves that would decay and die in a few days time." Then by ways of analogy, he again says, "If God's people batter their fleshly wants into submission, they shall receive and incorruptible crown that endures for eternity." Child of God, it will be worth it all when we see Jesus. Adoniram Judson and his sweet wife, Ann, were missionaries in India and Burma. During their tour of service, Adoniram was arrested as an enemy agent when his homeland, England, and the nation in which he served became disenchanted with one another. Immediately, Judson was imprisoned. The tiny cell in which he was incarcerated was so crowded and small that the prisoners had to take turns sleeping. There was not enough room for all of them to lie down. The hot sun beating upon the dingy cell caused unbearable suffering through heat prostration. The stench also became obnoxious as the men were never allowed to bathe. One day the government officials decided to punish the prisoners and Judson was hoisted into the air by his thumbs. Pain filled his body as he remained suspended in mid air for hours at a time. His precious helpmeet, Ann, would come by the cell daily, look inside, and weep. However, this soldier of the cross always encouraged her man by saying, "Hang on, Adoniram. God will give us the victory." As the days and weeks past, faithful Ann no longer made the visits and Adoniram's loneliness increased. No one had informed him that she was dying. All he had now was a memory of his sweetheart saying, "Hang on, Adoniram. God will give us the victory." Months later, upon his release, he immediately began the search for Ann. As he approached the area where he formerly lived, he saw a child so begrimed with dirt that he failed to recognize the little one as his own. He the dashed into the tent and saw the form of one so small and weak from malnutrition, that she appeared to be a skeleton. Her beautiful flowing hair had also fallen out and she was bald. As Adoniram called, she failed to respond. It seemed as though she were already dead. He took her in his arms and wept. The hot tears dropping on her angelic face revived Ann and she said, "hang on, Adoniram; God will give us the victory." Adoniram lost his sweetheart, but not his faith and courage. He continued under dire circumstances to preach and to build churches, and when this man of God was buried, scores of churchs had come into existence through his labors. Adoniram and Ann ran the race faithfully unto the end and experience the "abundant entrance" I have been proclaiming. What will your homegoing be like, Christian? This award is mentioned in 1 Peter 5:1-4 and is undoubtedly reserved for faithful ministers. In the text, the Apostle Peter says, The elders which are among you I exhort, who am also an elder, and a witness of the sufferings of Christ, and also a partaker of the glory that shall be revealed: Feed the flock of God which is among you, taking the oversight thereof, not by constraint, but willingly; not for filthy lucre, but of a ready mind; Neither as being lords over God's heritage, but being ensamples to the flock. And when the chief Shepherd shall appear, ye shall receive a crown of glory that fadeth not away. Peter in writing to the elders or spiritual shepherds, exhorts his fellow minister's to "feed the flock." God so loves His precious people that He wants the pastors to meet the nutritious needs of His children, spiritually. Hence, the shepherds are to feast on the Word of God daily ;in order to meet the needs of the hungry. This takes discipline and perseverance. It means that the golf game, the tennis court, and other recreational amusements must be in second place. It means that the obedient preacher cannot wait until the last minute to prepare the "Saturday Night Special" for the Lord's Day. This God-appointed leader, the pastor, must be obeyed. Are you shocked? Hebrews 13:17 Obey them that have the rule over you, and submit yourselves: for they watch for your souls, as they that must give account, that they may do it with joy, and not with grief: for that is unprofitable for you. Imagine! God's shepherds are to be *obeyed. * This is specifically true as they teach doctrine and ethics. Those who ignore these commandments will suffer embarrassment at the Bema Seat. They will weep as their spiritual guardians, and their pastors, report their disobedience, stubborness, and carnality. Is this truth hard to accept? They watch for your souls, as they that MUST give account, that they may do it with joy, and not with grief: for that is unprofitable for you (emphasis mine). Wow! Think of it! The shepherd's testimony produces joy and grief, victory and heartache, triumph and tears, as the reports are presented. This does not mean that the shepherd is free from investigation. *He*, too, must live according to the God-demanded requirements mentioned in 1 Timothy 3:2-7 which says, A bishop [or preacher] then must be blameless, the husband of one wife, vigilant, sober, of good behaviour, given to hospitality, apt to teach; 3 Not given to wine, no striker, not greedy of filthy lucre; but patient, not a brawler, not covetous; One that ruleth well his own house, having his children in subjection with all gravity; (For if a man know not how to rule his own house, how shall he take care of the church of God?) Not a novice, lest being lifted up with pride [becoming arrogant] he fall into the condemnation of the devil [ who also fell through pride]. (See Isaiah 14:12-14) Moreover he must have a good report of them which are without; lest he fall into reproach and the snare of the devil. Shepherds who make these God ordained standards their goal receive an exclusive crown at that day, for 1 Peter 5:4 declares, When the chief Shepherd shall appear, ye shall receive a crown of glory that fadeth not away. Heaven's fourth crown is awarded to soulwinners. Daniel 12:3 declares And they that be wise shall shine as the brightness of the firmament; and they that turn many to righteousness as the stars for ever and ever. Stand outside on a clear night, fix your eyes upon heaven and study God's breathtaking creation. Stars, billions of miles away, twinkle as plainly as the flickering candle on the dining room table. No wonder Christians joyfully sing, "O God, how great Thou art." However, a more majestic scene is portrayed for the future as children of God who souls are coronated with star-studded crows. Hallelujah! Yes, they that turn many to righteousness as the stars for ever and ever. Is it any wonder that Proverbs 11:30 states, He that winneth souls is wise. The inference here is: " He who does not win souls is foolish." Why? He cast aside eternal rewards as though they were bubble gum wrappers. Wise men have more sense than this. They do not trample on god's commands. Instead, they longingly obey Matthew 28:19 Go ye therefore, and teach all nations. Mark 16:15 Go ye into all the world, and preach the gospel to every creature. Luke 14:21 Go out into the highways and hedges, and compel them to come in. Acts 1:8 Ye shall be witnesses unto me both in Jerusalem, and in all Judea, and in Samaria, and unto the uttermost part of the earth. They love God and will not allow business or pleasure to stand in the way of the highest calling in the world-the winning of souls for eternity. They heed the warning of Jesus about the bushel of business and the bed of relaxation and pleasure as hindrances to the candle's flame (see Mark 4:21). Their love for Christ and the souls of men make them press forward for the prize of the high calling of God in Christ Jesus (Phillipians 3:14). They want to present their converts in that day saying, for what is our hope, or joy, or crown of rejoicing? Are not even ye in the presence of our Lord Jesus Christ at his coming? (1 Thessalonians 2:19). At this great roll call, will *you* be able to make a presentation to the Saviour? Will *you* have any spiritual children? Will *you* receive a crown that shines like the brightness of the firmament? Don't procrastinate, become a soulwinner today! Then and *only then* will you be coronated with heavens's glittering "Oscar." The fifth and final crown is presented to those who have suffered for the sake of Christ and the gospel. James 1:12 states, Blessed is the man that endureth temptation: for when he is tried, he shall receive the CROWN OF LIFE, which the Lord hath promised to them that love him (emphasis mine). Some will receive this glorious reward for having experienced the taunts and jeers of sinners. Jesus said, Blessed are they which are persecuted for righteousness' sake: for theirs is the kingdom of heaven. Blessed are ye, when men shall revile you, and persecute you, and shall say all manner of evil against you falsely, for my sake. Rejoice, and be exceeding glad: for great is your reward in heaven (Matthew 5:10-12). The reward will also be presented to those who bore illness and infirmity with a smile believing that all things work together for good to them that love God (Romans 8:28). How different from the saint who lost five sons in the service. Her minister, in a state of frustration, went to the godly little lady's home to share the sad news. When he arrived, she greeted him with the words, " I already know. The Lord spoke to me during my prayer time. Which one is it?" The pastor replied, "All five." She said, "Praise the Lord! The last time my boys were home I led all five of them to the Saviour. Had they died prior to that furlough I would never have seen them again. Now they are already on heaven's shore awaiting Mom's homecoming. Isn't God good?" Oh, what a reward this suffering saint shall receive at the great Coronation Day! The crown is also given to those who are faithful unto the end, Revelation 2:10 declares Be thou faithful unto death, and I will give thee a crown of life. Again I want to emphasize that this is not a reward for salvation, but for service, and is presented to those who remain faithful throughout life, It is the same crown mentioned previously in James 1:12 presented to all who bore trial and testing out of love for the Lord Jesus. Child of God, the time is at hand for the distribution of heaven's awards. Where do *you* stand at this moment? What rewards would *you* receive were Jesus to come today? He *is* coming soon and immediately upon His arrival the judgment of the believer's service record begins. That's right. The investigation begins at the *appearing* of Christ. Luke 14:14 states, Thou shalt be recompensed [rewarded when] at the resurrection of the just. First Peter 5:4 And when the chief Shepherd shall appear, ye shall receive a crown of glory that fadeth not away. First John 2:28 also verifies the time by stating, And now, little children, abide in him; that, when HE SHALL APPEAR, we may have confidence, and not be ashamed before him AT HIS COMING (emphasis mine). Then, if we are rewarded, we shall present our crowns with millions of others from all ages. Let me illustrate. Eight men wrote the New Testament. Seven were murdered. Matthew was slain with an halberd. Mark was dragged through the streets of Alexandria by a team of wild horses until dead. Luke was hanged in an olive tree. John, thrown into a cauldron of boiling oil, survived the painful ordeal but was disfigured for life and banned to the isle of Patmos. One day he undoubtedly saw his seared face reflected in a stream of water and wept. God said unto him, "Son, cheer up. I will allow you to write 1 John 3:2 which promises new bodies to all of My children." It says When he shall appear, we shall be like him: for we shall see him as he is. What joy must have filled the suffering servant's soul as he realized a better day was coming in which he would be changed to be like Jesus. Paul was beheaded. Jude and Peter crucified and james was battered to death with a fuller's club. *Now get the future picture:* the great hour has arrived and all God's children are present. The investigation begins. What will each of us say as we stand with such an array of heros-believers who gave all, who proved their first love for Christ during and entire lifetime-even unto death! Christ return may be tomorrow, next week, next month, or next year. We know not the day or the hour when Jesus shall break through the blue to call us home. However, we do know that it is near, even at the door. Therefore, my closing question is: *Are you ready? * Could you bear the investigative judgment were it to take place tomorrow? Would you be ashamed, embarrassed, red-faced, and brokenhearted? Would tears of sorrow intermittently flow from your eyes for the Millennial Age? is your present disobedience worth such heartache? Would you not rather serve God with all your heart and hear Him say, "Well done, thou good and faithful servant?" *It is not too late to make a change,* to reverse your lifestyle and put christ first.